A modern ring with a retro twist. It’s dainty and cute. 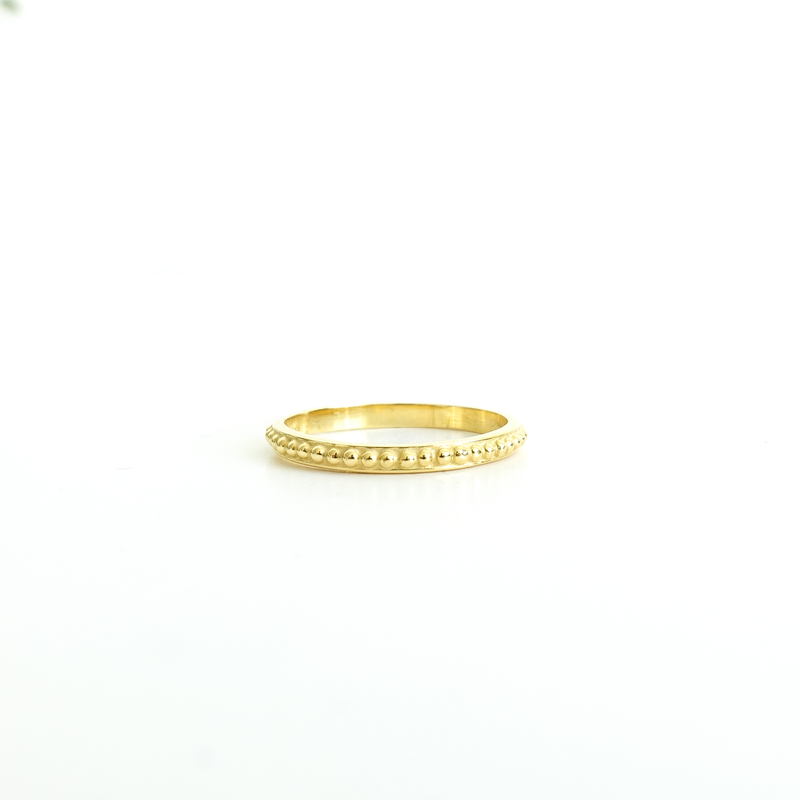 This ring wears very fine and comfortable on the pink finger if you are seeking for something small. However, this ring will also be the eyecatcher if worn on any other finger. Now available in size 4 for the pinky finger! 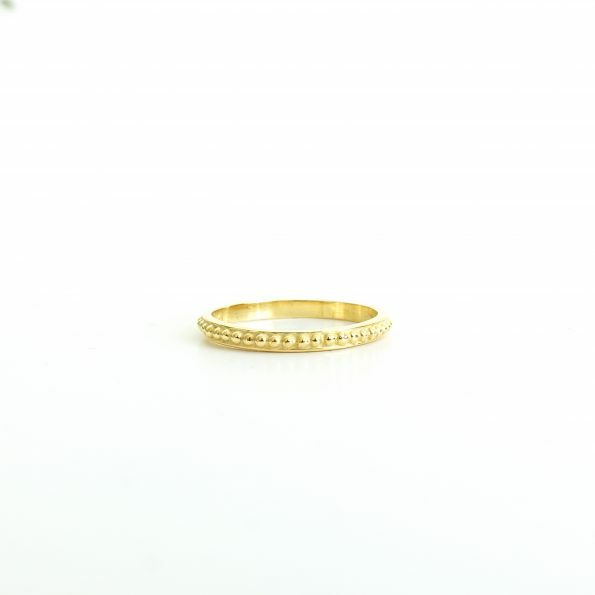 Just like the Carved in X, this ring is easy to stack upon another ring. 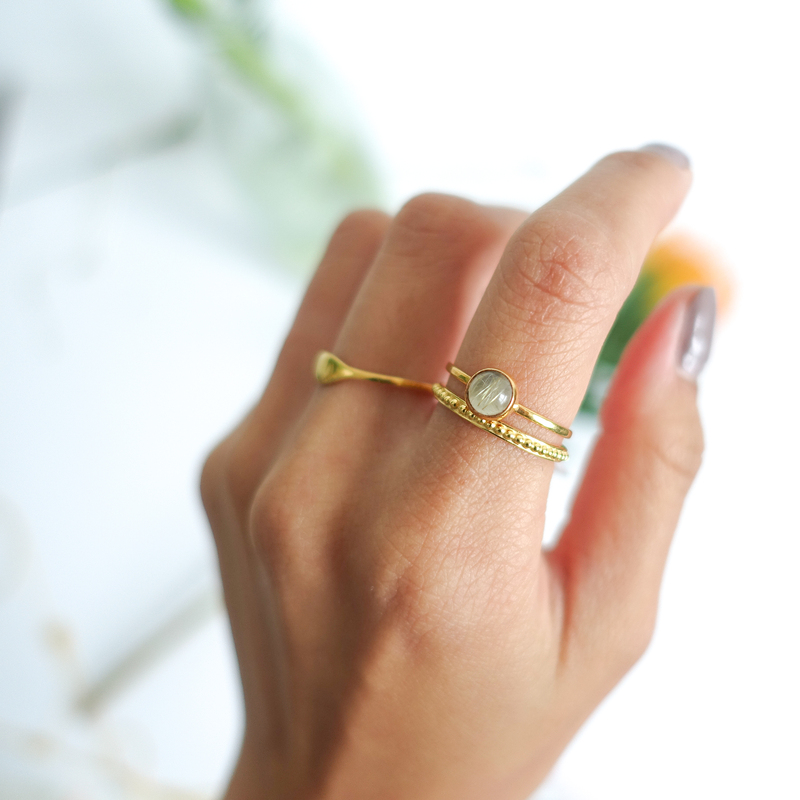 It’s dainty, fun, minimal and easy to match with another. 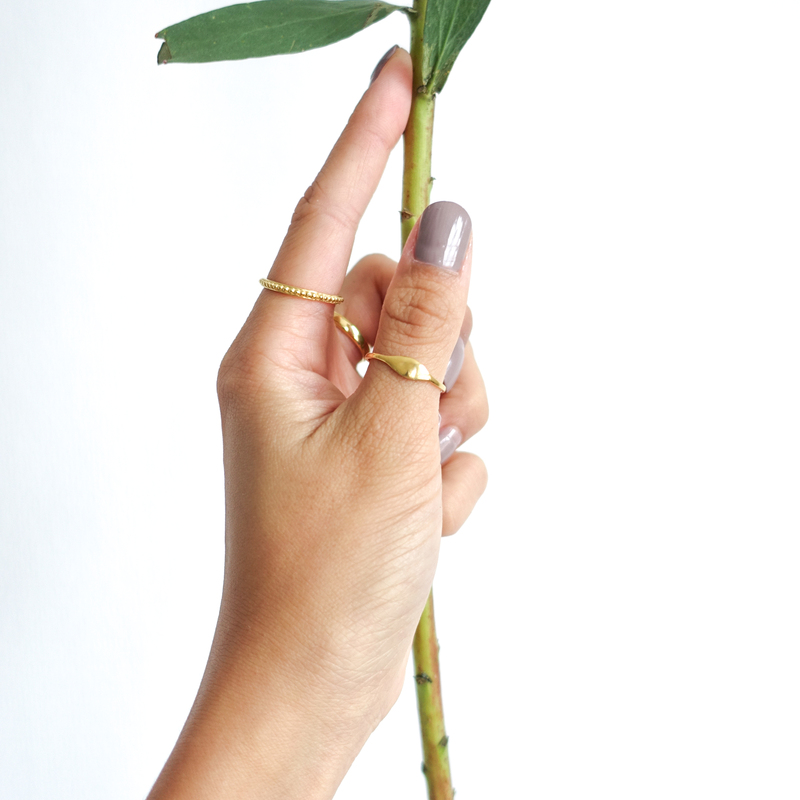 You want to order the Ayu Dots ring but you don’t know the size? Use a measurement tape to measure the inner diameter of any ring you have.